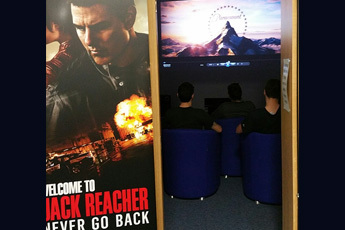 Members of the Armed Forces enjoyed watching the latest Jack Reacher movie, Jack Reacher: Never Go Back this week, thanks to Defence Discount Service. Prior to the films release on Blu Ray and DVD, on the 27th February, troops enjoyed screenings at their bases to celebrate the release. 60 lucky Defence Discount Service members also attended an exclusive VIP screening of the film at Universal Picture (UK)'s private screening room in London. Tom Dalby from Defence Discount Service said "This has been a great opportunity and with Jack Reacher having an ex-military background it was a great fit for our audience. We have had some great feedback from members that watched the film and it is definitely a must watch"
The new version of the Defence Discount Service app has now entered stores and is available for download. 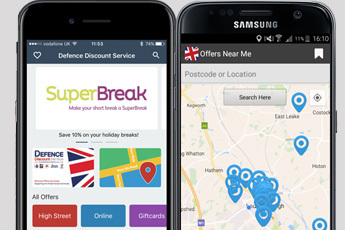 The Defence Discount Service App is a free app available for iPhone and Android, to help you shop from the comfort of your own home and whilst out on the high street. We have used member feedback to keep the great features of the existing app whilst ironing out some of the issues from the previous version. The new app has been built with the user in mind, bringing all functionality on to one screen rather than having a pull out side menu. Users can quickly and easily find everything you want right from the main screen. Time sensitive offers appear at the top, your virtual card and offers near me underneath. Collections of offers are a touch away underneath followed by multiple rows of companies each with offers. Extra features are positioned at the bottom. It is both visually stunning and beautifully simple. • Search - all search features are now in a single screen. We have a new 'Search by Phrase' option, 'Companies' showing an alphabetically ordered list with quick filter and 'Search by Category' which helps you find companies and offers grouped together. • Near Me - we have made this even easier, which is hard as it is one of the most used features. There was always a list view, but it was hard to spot - so we made it really easy. • Favourites - now much easier to use and simple to understand, you can even change their order. • Offer improvements - we have tweaked how we display each offer, for time limited offers we show an expiry caption that is easy to understand, for all offers we colour code and show the type of offer like High Street & Online. For offers you are likely to use in person we automatically add a quick access to your Virtual Card if you have one. • Redeeming online offers - we have added a mini-browser with back and forward buttons so you do not accidentally come off the screen entirely (we understand how annoying that can be). • Privilege card - you can get one of these directly inside the app and for members that have one we have a virtual card inside the app that you can swipe to rotate in 3D, careful, it is addictive. • Notifications - we will keep you informed of select offers, plus when we need update you about your account. • Suggestions - we really value your ideas and your help in pointing out issues we may not yet be aware of - so we have added features in the app for you to quickly share them with us. This really is the fastest way to get things fixed or improved. Motorfinity has been launched to Defence Discount Service offering members seamless access to the best motoring deals available and it will oversee all motoring brands seeking to offer a special discount for members. Motorfinity attracts offers from suppliers, negotiating the best rates for members with no additional fees, providing a centralised contact point as well as an oversight/customer service function. 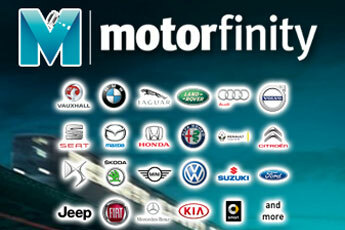 Working closely with multiple suppliers and car manufacturers Motorfinity has a close connection and a deep understanding of the market, offers and services available. We are very excited to have established this relationship that will provide a unique service and advantageous offering for the benefit of DDS members. Daniel Briggs, Managing Director said: “Attracting support for the UKs armed forces personnel and veterans community from vehicle manufacturers and suppliers has been central to the Motorfinity offering and we are very proud to have established a broad range of manufacturers offering big discounts for Defence Discount Service members. Our fundamental principles of sourcing the lowest prices with no additional fees for members combined with the best customer service underpins all that we do”. 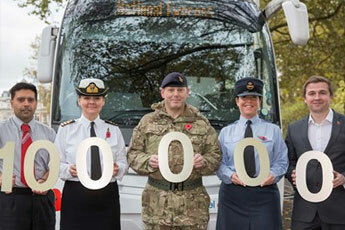 National Express and Defence Discount Service mark 100,000 coach journeys, saving members over £1 million. National Express and the Defence Discount Service are celebrating a special milestone today as the UK’s largest military travel discount – 60 per cent off standard coach fares – reaches a hundred thousand uses. In news welcomed by the Minister for Defence Veterans, Reserves and Personnel Mark Lancaster, the UK’s largest coach operator and the only official Ministry of Defence discount service, reveal one hundred thousand discounted coach journeys have been made since National Express became the first company in the UK to sign the government’s Armed Forces Covenant when it launched in 2013. The hundred thousand journeys equate to savings made by the Armed Forces community well in excess of one million pounds, with service personnel, veterans, reservists and spouses taking advantage of the discount to travel the length and breadth of the UK affordably. National Express Managing Director Tom Stables said: “In serving our country, the Armed Forces – and the wider forces community - make a tremendous sacrifice, and for that we are extremely grateful. That’s why we’ve committed to helping the Service Community in many walks of life – from our travel discount to employability training schemes, paid work placements, guaranteed interviews and extra leave for Reservists. The National Express military discount offers 60 per cent off standard fares for serving personnel, with veterans, Reservists and spouses of serving personnel offered 30 per cent off. People simply need to register free on the Defence Discount Service online to access the offer, then present their Service ID or Defence Privilege card when boarding the coach. The UK’s largest coach company is committed to its support of the UK’s Armed Forces, and as well as offering the UK’s biggest travel discount for serving personnel also offers a range of other initiatives, including guaranteed interviews for service leavers. British Airways has become the first airline to pledge support for the military community and their families by signing up to the UK Armed Forces Covenant. 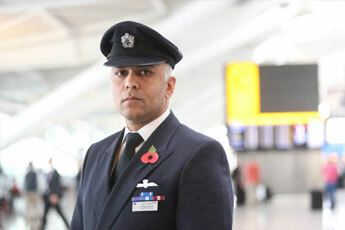 British Airways recognises it has an important role to play in supporting the Armed Forces and their families. It has also committed to giving Reservists and military spouses in its employment the flexibility they need to allow for deployment or training schedules, and also to support Service Leavers moving into civilian roles. To demonstrate its commitment to the Armed Forces past and present, the airline is offering a 10 per cent discount on all fares across its global network of near 200 destinations. The discount is available to all Serving Armed Forces, Reservists, Spouses of Serving Personnel, Forces Veterans, MoD Civil Servants, War widowers and Cadet Forces (over 16) from today (November 2, 2016) and can be booked exclusively through Defence Discount Service. British Airways Chairman and CEO Alex Cruz, said: “This discount recognises the great service given by the men and women of the Armed Forces; we hope that it will make their well-earned holiday time with their families easier and cheaper. “We have strong links with the Armed Forces and our work-force includes many veterans and serving Reservists. By signing the Armed Forces Covenant we are demonstrating our respect for the hard work and dedication of our Servicemen and women, veterans and their families.